Allison and Thom know what they are doing from beginning to end. Allison was most pleasant from our very first conversation. They are extremely prepared, efficient, friendly, and professional. Their equipment is all new and in great shape. Allison goes above and beyond to make sure her buffet tables fit in with our party decor. The feedback on the meal was delicious! I’ll admit I was nervous because it wasn’t something you make everyday (corned beef and cabbage), but it was so tender and flavorful. I will be using them again and will recommend to everyone. They went above and beyond, and I am so pleased they made our event a success. Best Catering Events Service in Myrtle Beach!!! Look no further! Seriously! Allison and her team are a brilliant bunch, and I look forward to working with them at all my future events. The personal attention, genuine care, and level of service is unmatched. Allison goes above and beyond and exceeds any expectation you may have. I came to her with an “idea” that I hadn’t even really developed, and she took it and turned it into more than I could have imagined. Her level of creativity is really impressive. I’ve worked with companies where the presentation and service were excellent but the food lacked flavor or originality— MF SCRATCH IS THE BEST! The food is delicious AND unique. Delicious, like, I’ve been craving it since the event. Every guest had a positive comment about how fantastic the food was… You are in the best hands with Allison and the MF Scratch team. Thank you so much for making the Christmas party an extremely successful event. The set up was beautiful and the timing was perfect. Thank you for your hard work, professionalism and flexibility! Thank you again & again! You and your team were amazing! It would not have been the wedding it was without you! Everything looked beautiful and tasted incredible! Hands down, our wedding cake was the best cake we have ever tasted. Thank you so much, you are the bees knees! Their staff and food was TERRIFIC! The presentation of dips, sandwiches, desserts, etc. was well thought out, and food placement in the house was wise, preventing bottlenecks and facilitating movement of a large number of people. Of note, the fresh shrimp cocktail was EXCELLENT. Often at such gatherings, shrimp can be pretty, but not tasty, or fresh tasting. If/when we need catering MADE FROM SCRATCH will certainly be our first choice for an in-home event. We are so thankful for you and your yummy food! Our favorite breakfast caterer! 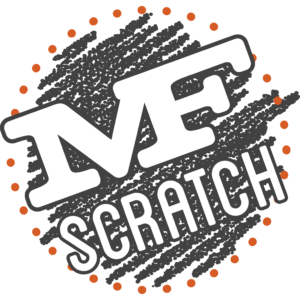 I use MF Scratch 4 days a week, every other week, all summer long to feed 192 employees lunch, THE most organized catering company ever! Thank you! Without you and your professional group, our special day couldn’t have been better. MF Scratch again, for out next catered event. Everything for our corporate retreat was wonderful! The service was great and tons of compliments from all our employees. We will certainly be in touch if we make our way back to Myrtle Beach in the future! Your catering was nothing less than amazing, it was beyond delicious! I really appreciated, as did everyone else, your attention to detail. Thank you for doing such a great job! I just wanted you to know that this months catering for our CSI meeting was excellent! So much so, that all the single guys in the group took home the leftovers! The lunch was exceptional! The girls did a great job setting up, I was so proud! Several attendees asked about you all, of course I couldn’t say enough good things about you, and of course the food speaks for itself! GREAT JOB! Thank you SO much for catering our Medical Mentoring Graduation last night! It was a great success and everyone raved about the food, beautiful displays and wonderful sweet goodies!